Manis FM, Pilihan Terunggul DiPantai Timur. Manis FM is a 24-hours radio station and operated by Manis FM Corporation. Its headquarters are located in Kota Bharu, Kelantan. In the early years, Manis FM first transmitted to the city of Kota Bharu only. The station were at first aired on 88.7 FM and aired for only 18 hours a day. Its headquarters were at first located at Jalan Kebun Sultan in front of the Kelantan state Chinese business hall. In 2003, Manis FM started broadcasting 24 hours a day after moving to its new headquarters at Wisma Manis. 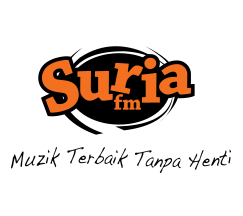 The frequency of Manis FM at Kota Bharu was changed to 90.6 FM. The station also expanded to several states, especially in the east coast states of Terengganu and Pahang. Manis FM also launched a website with a new user interface look. Manis FM can be also tuned in Southern Thailand, Pulau Redang, Pulau Perhentian and around Segamat, Johor.